My favorite thing about green smoothies (besides the health and beauty benefits) is that you can completely change the flavor just by switching up your fruits. 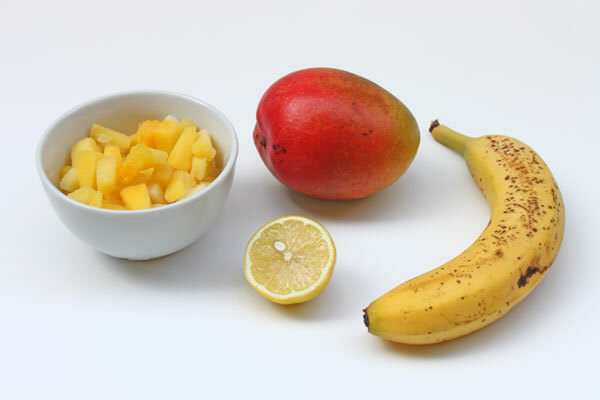 With the arrival of warmer days, I've been craving smoothies with a tropical twist. For spring-worthy sips, I've swapped the apple and kiwi in this recipe for a mango and two cups of frozen pineapple. According to celeb nutritionist Kimberly Snyder, pineapple is one of the best foods to eat for soft, supple skin, as explained her in latest book, The Beauty Detox Foods (the other ingredients in this recipe made her list of beauty-enhancing foods, too). If that knowledge doesn't brighten your mood, sipping this drink from a yellow polka dot straw should do the trick. 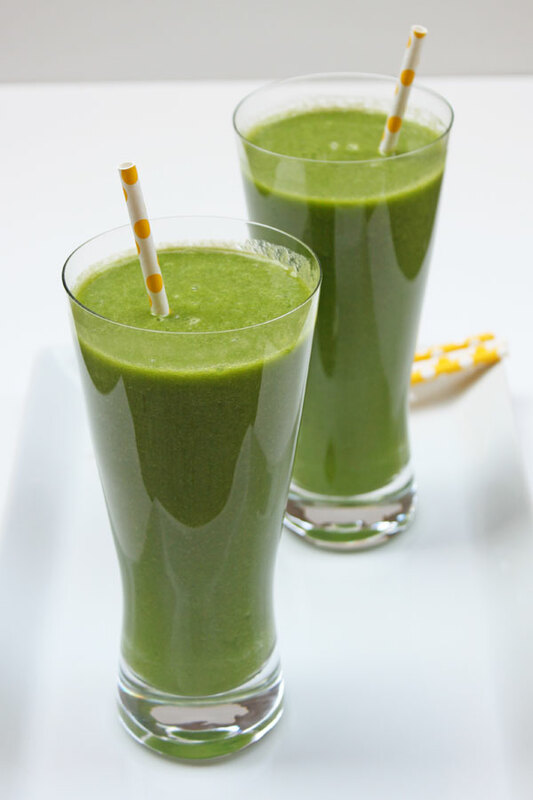 Add water, lettuce, and spinach to blender; blend until smooth. Add mango and pineapple; blend again. Then, add banana and lemon juice, and blend once more until smooth. No skills required at all! If you can press "blend," you can totally handle it. Let me know if you try it! xo! Something I love about my smoothies. Just chuck it in. Although my recipe does have a fair few ingredients. Hey Cara! What's the recipe you've been making? I'd love to check it out! Definitely let me know if you try this one! xo! I'm also out searching for new ideas which is how I found this post :) Let me know what you came up with? Cheers, Pip. Hi Marlen! I'm so glad you shared the smoothie recipe with your mom -- I hope she likes it! 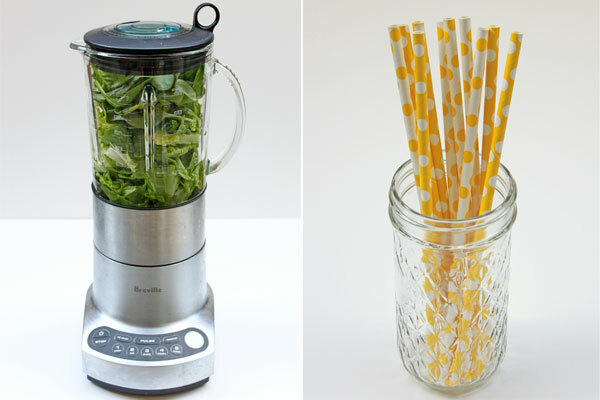 As for the straws, I found them online at a party supply store and already want more. So happy you like them! xo! Yes, you can definitely refrigerate this! I usually make a big batch and refrigerate the rest to have the next day (so in another 24 hours or so). Hope that helps!